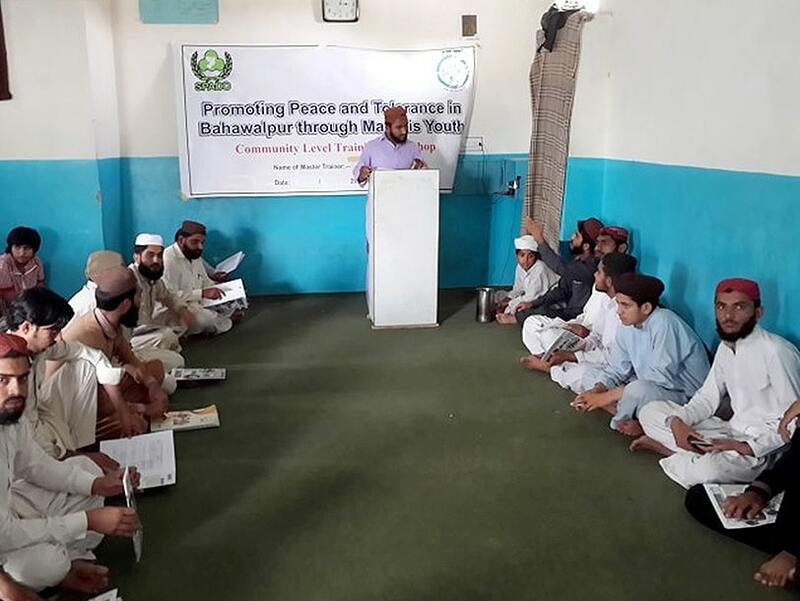 The project “Promoting Peace and Tolerance through Madaris Youth”, aimed at first building the capacities and then providing a positive and productive environment to the students and teachers of local Madaris. The target group of this project was Madrassa youth of Bahawalpur. 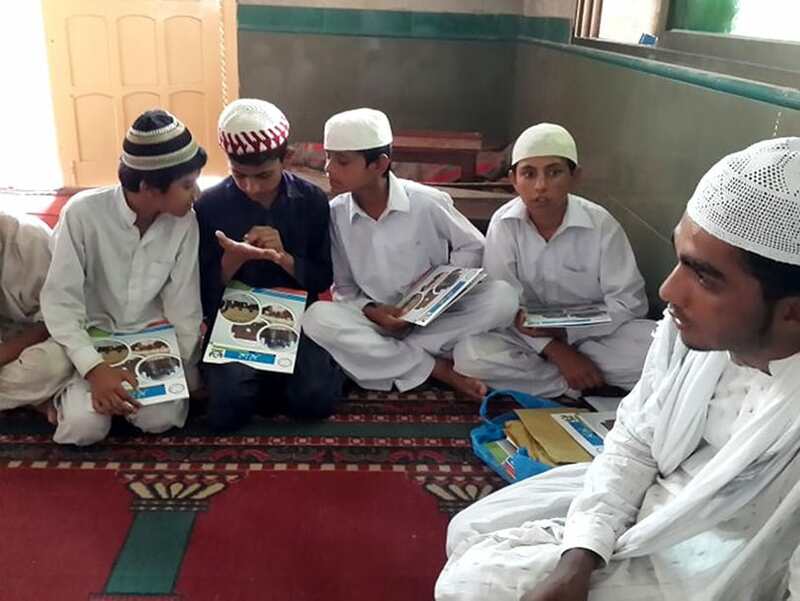 The intervention was targeted at reducing vulnerability and inclination of Madrassa youth of Bahawalpur towards extremist ideologies and influence. 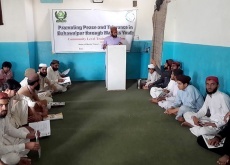 To achieve the objectives, the project transformed 516 Madrassa students and teachers (including 125+ female students) into peace activists by engaging and training them in non-violent conflict resolution and mutual co-existence. 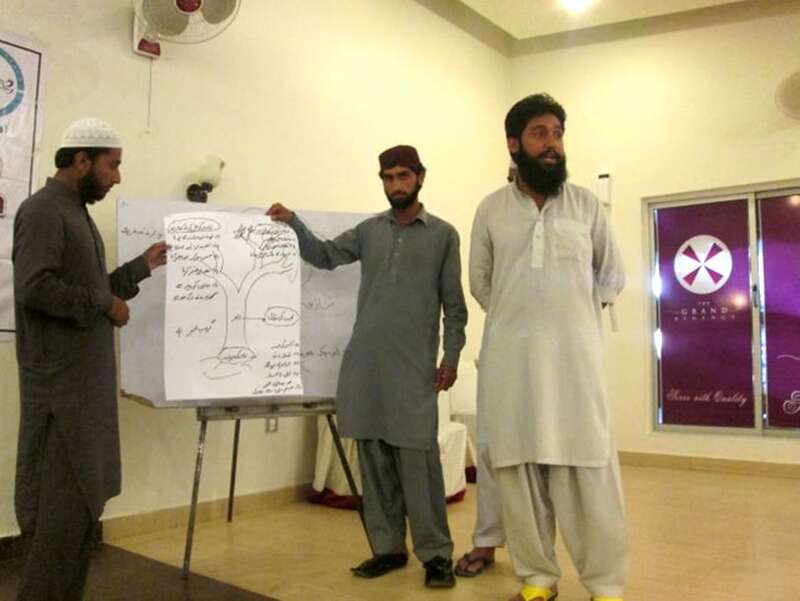 The project was based on the approach of conflict transformation where as a first step a constructive dialogue was initiated with the leaders of the local Madaris of Bahawalpur. Later on individual meetings were held with the Madaris and they were invited to attend a consultative meeting where the participants were briefed about the project and its objectives. They were encouraged to share their ideas and inputs to be incorporated into the implementation process. 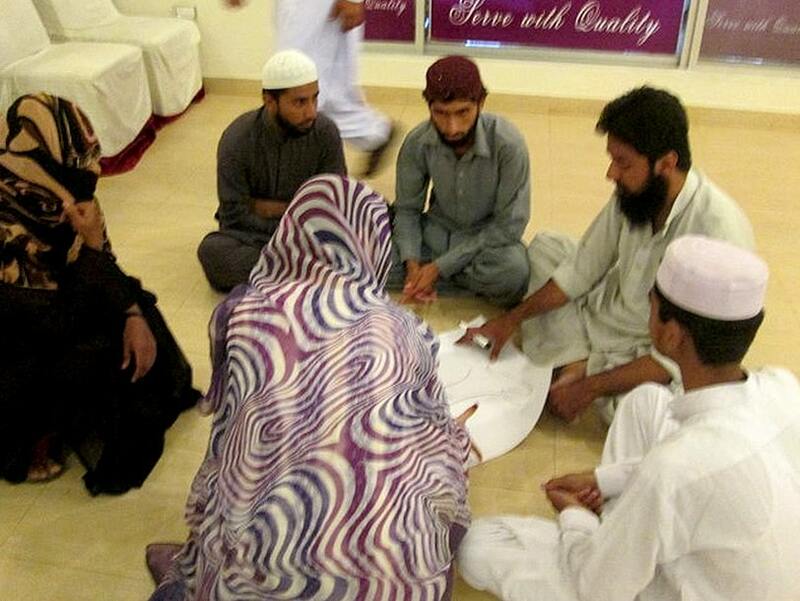 In consultation with local Madaris a peace manual in Urdu was developed. Later on the Madaris were asked to nominate participants for the training workshop for the Master Trainers. 20 Master Trainers were selected who received a ToT workshop. The Master Trainers after completion of their training arranged the trainings in their Madaris and further trained 495 students. 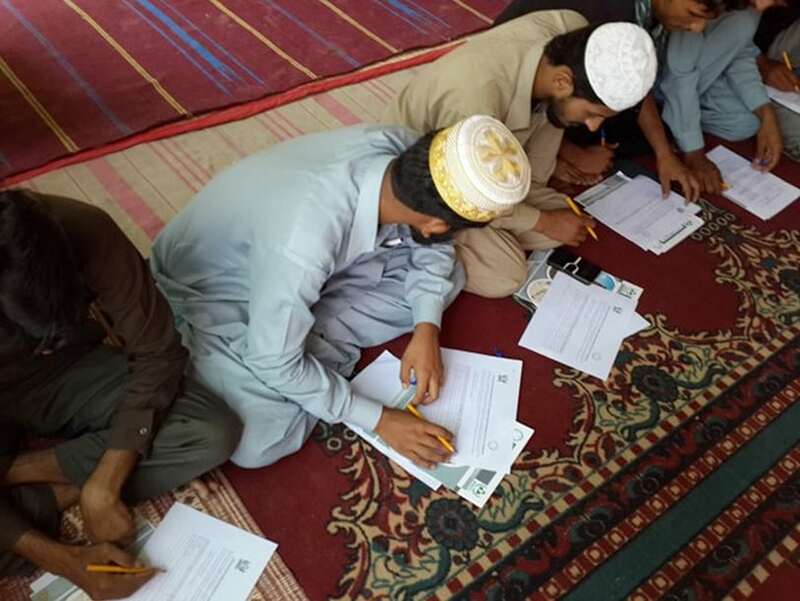 Throughout the project duration, the Madaris were encouraged and motivated to sustain the trainings in their respective institutions in future. After attending training workshops, I have learned how to reform my community, I have learned how to live a peaceful life . I am feelig a positive change in my life, I have learned how to build a positive and paceful character. 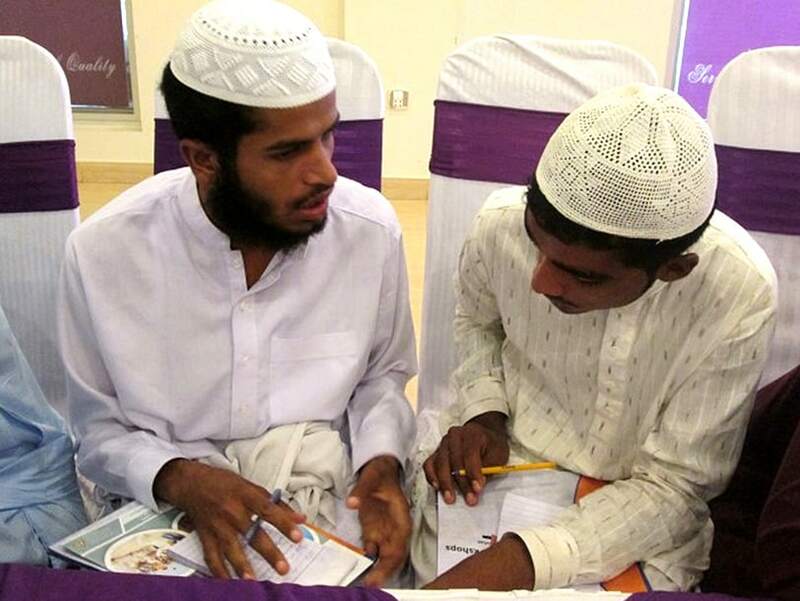 To transform 520 Madrassa students and teachers into peace activists by engaging and training them in non-violent conflict resolution and mutual co-existence. 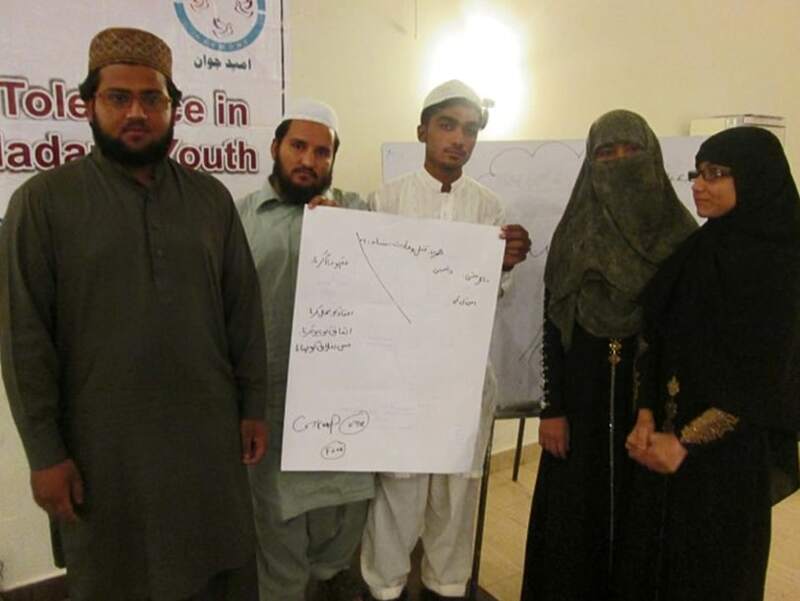 To reduce vulnerability and inclination of Madrassa youth of Bahawalpur towards extremist ideology and influence. 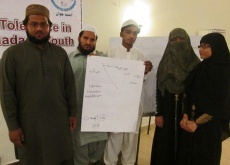 To provide a positive and productive environment to the youth countering of joining extremist groups.